Explore the exciting world of patinas which will add dramatic effect to your pieces. 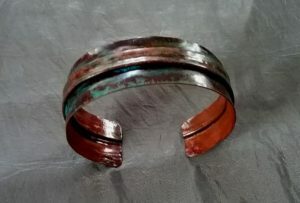 We will explore heat patination on copper metal as well as chemically induced patinas using low-cost, safe products. We will also learn to make reticulated silver earrings.